Discussion in 'The Doctor's Clinic' started by dewotter, Jul 29, 2011. Your moveset is just as bad as your spelling. 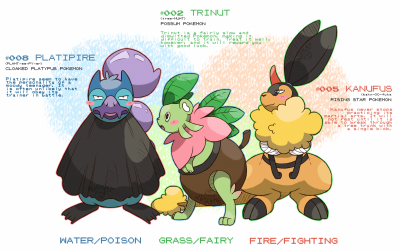 In that topic was a list of recommended moves for each type. You should only (and I stress ONLY) be using the moves suggested, and nothing else. Is Hydro Cannon in that list? No, because it's an awful move that should never, ever be used. Is Blizzard on that list? No, because it feels ashamed of itself if it hasn't missed its target at least 5 times per battle. Is Dig on that list? No, because even a brain-dead zombie would probably be aware enough to switch in a Flying-type on the turn you dig underground. Also, is Mystic Water suggested as a hold item? No, because there's at least five other items for Samurott that work far, far better. Glad to see you read all that stuff in the link by the way.